Photo courtesy of Eric Poole. Just say the words “the Danube” to people who’ve been there, and they’ll sigh longingly, and probably start a word salad of superlatives. The romance and beauty of this fabled river evokes a kind of magic, and justifiably so. And that alone—plus the fact that you can do this river on all-gay cruises—should be enough to have you running to your laptop to book one. It has some of Europe’s most exciting and memorable cities, like Prague, Vienna, Budapest, and Bucharest. It’s like a sightseeing superstore, except you don‘t need your Costco card. Because the river is so popular, many of the best and newest 4.5- and 5-star river cruise ships ply these waters. These are ships with walls of glass that slide open, good wi-fi, glassed-in showers, bathrooms with heated floors, etc. The nighttime sail in Budapest is something you will never forget. Not every cruise that stops in Budapest does this, so be sure to check. 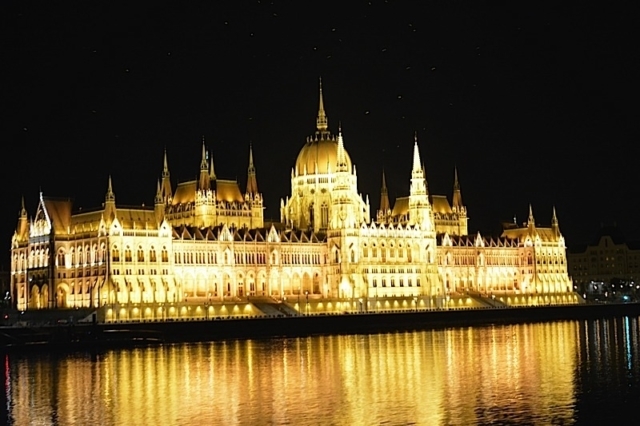 It’s a post-dinner cruise down the Danube past the stunning—and brilliantly lit—waterfront buildings. It’s so gorgeous and romantic, everyone just ends up getting in a big love pile. 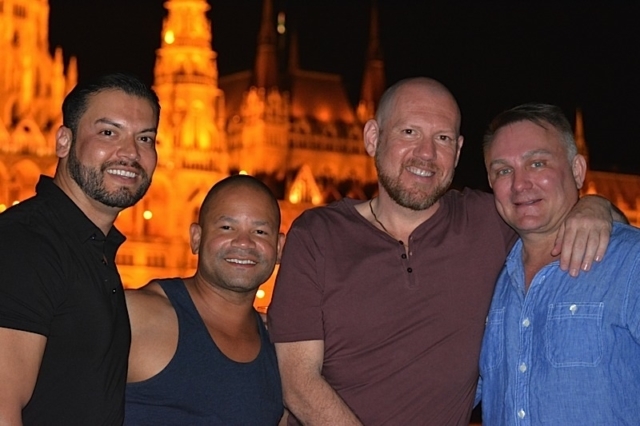 Gay river cruises—like their ocean-going counterparts—bring on their own entertainers, since few gay folk are up for the typical offerings of the river cruise line (clogging, anyone?). And because so many top entertainers want to do a Danube cruise, the quality of entertainment on these cruises tends to be some of the best anywhere in the world. Salzberg, Austria. It’s the city where much of The Sound of Music was shot. And even if you’re not a big fan (I hadn’t seen the movie all the way through since I was wearing footie pajamas), you will love this tour, which is often an option on “Upper Danube” cruises. It makes a once-in-a-lifetime gift. Nothing says love like giving your partner/spouse/boyfriend-du-jour a Danube cruise. Personally, I’m not made of money, so when I gave my husband one for our anniversary, I informed him that this also covered Christmas and his birthday. I call it “gift amortization” (just not to his face). It still won me enough brownie points that he didn’t yell at me for months. Ready to experience the magic? Then start planning, because these cruises can book up a year or more in advance. Eric Poole is Director of Marketing for Brand g Vacations, the Leader in All-LGBT River Cruises and Land tours. Miss Conception, leading a sing-along en route to Salzberg for the Brand g Vacations Sound of Music tour. Photo courtesy of Eric Poole. Budapest at night. Photo courtesy of Eric Poole. 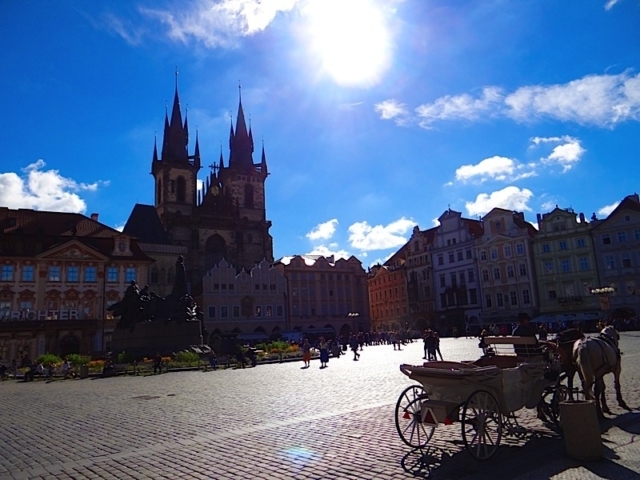 Prague’s Old Town Square. Photo courtesy of Eric Poole.